Six years ago I bought my first iPod and embarked into the sometimes frustrating world of iPod and iPhone travel accessories. I’ll spare you the details of the various docks I’ve bought over the years – here my tale is of successes and failures as I struggled to carry, charge, and listen to my toys on the road and trail. This $500 contraption, with its tiny hard drive and touch wheel, was a revelation. I ripped all of my CD collection onto it and was delighted to be able to dump my extensive hand-made collection of audio cassette tapes recorded from CDs and old vinyl albums and singles. I bought a belt case, a couple of home docking stations for syncing and charging, and then faced the issue of how to listen to it and charge it in my car and when out hiking. 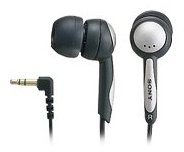 I intensely disliked the Apple earbuds that came with my first iPod, so I bought others from Sony and then Phillips. Having any of them in my ear for a few hours was painful, although using smaller nubs on the Phillips Surround Sound ones helped. My 2001 Toyota Camry has a radio, CD player, and cassette player, but no line-in port. So I bought an $11 Sony SPC-9C cassette adapter, which worked well for years, taking the iPod’s audio out and transmuting it for the car’s cassette player. That combination was a winner, despite the occasional mechanical clicking from the adapter and the high-band hiss in the speakers. 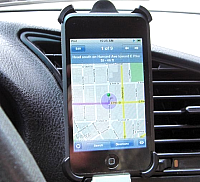 I mounted the iPod in an $18 Belkin TuneDok iPod Cupholder F83467, which rested in the central dash cupholder for convenient access to the iPod. This was another winner. Then I bought the $20 XtremeMac Car Charger T7957LL/A so I could charge the unit back up. On a plane and on long hikes I found I sometimes needed more battery life than the internal one could provide, and of course Apple never made iPod or iPhone batteries swappable. 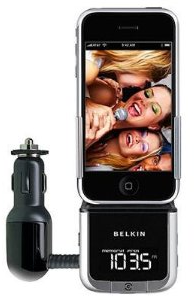 So my first portable power unit was a bulky $60 Belkin Backup Battery Pack which could carry 4 rechargeable AA cells and would stick onto the iPod with suction cups. 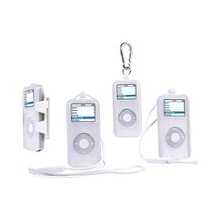 All of that kept my beloved iPod working fine for me until I travelled by air and had to rent a car. What if it lacked a cassette player? So I bought my first FM transmitter, a Kensington K33185. It put out a strong signal, but on the coast I often ran into interference from the many overlapping radio stations. 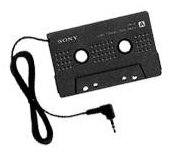 At home, I always preferred the cassette adapter. 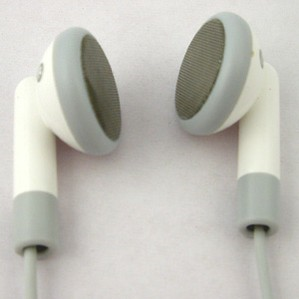 And how about listening to my iPod around the house or hotel room without earphones? 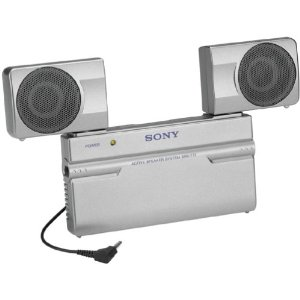 The Apple TV didn’t exist yet, so I bought a $55 Sony SRS-T77 stereo travel speaker. It gave adequate sound and had a power adapter you could plug into the wall although I always preferred plopping four rechargeable AA cells into it. Its design of fold-out stereo speakers and a unit kickstand was cumbersome but usable. My original hard-drive based iPod died a bit over a year after its purchase – I had it repaired, but it died again about a year after that. 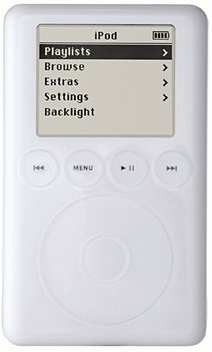 So in 2005 I spent $244 for this sleek slim player, which was far less cumbersome than my original iPod and, more importantly to me, was solid-state. The Nano worked with all of my accessories, though it was a poor fit in both Belkin’s cupholder and their Battery Pack. 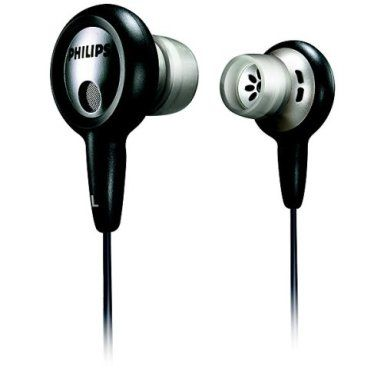 Its ear buds were again not a big hit for me, so I often used my Phillips ones. The Nano scratched incredibly easily, so easily that five years later a class action lawsuit about it would yield me $38 back. So in the long run I suppose I got my $27 Speck Connect+Protect Case for free. I didn’t use all of its features, but it did protect the Nano and allowed me to carry it on my belt or around my neck. 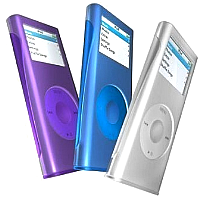 This was my best iPod until I bought my iPhone 3G in 2008, which rapidly superseded this unit. 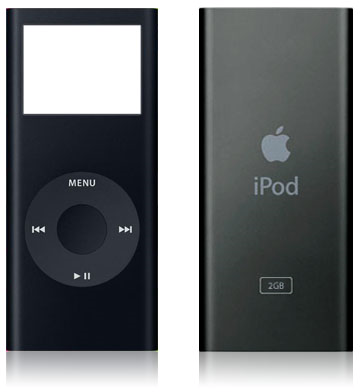 I later swapped my 8 GB black unit for a friend’s 4 GB red unit since she needed more room for her music and by then I was only using the Nano as a backup unit for audiobooks, podcasts, and a few tunes for air travel and hiking. I once protected the unit with an iSkin, which also allowed for a belt clip and lanyard, but now I just carry the bare unit in my hiking backpack for emergency use. 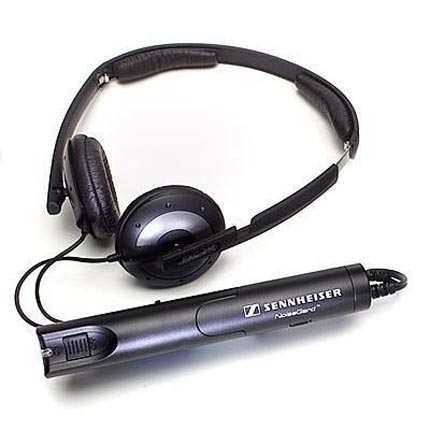 After a miserable flight sitting by the rear engines of an MD-80, I decided to invest in a $105 pair of Sennheiser PXC 250 Active Noise Canceling Headphones. They dim out the engine roar and air noise, but do not offer the sound isolation you get with tight canal ear buds, and the bulky power/signal processing pack is annoying. While my Apple TV is great for watching and listening at home, sometimes I want to listen to something on my iPod or iPhone or netbook (which has lousy speakers) without using headphones or earbuds, especially when I’m at a hotel. I used to use the above Sony SRS-T77, but it is a bit bulky for travel and depletes its 4 AA rechargeables after a couple of hours. So I bought the $31 Altec Lansing iM-237 Orbit Ultraportable Speaker . It is very compact, has great sound quality, and runs for hours and hours on a few rechargeable AAA cells – highly recommended! The best tech toy of my life has been the $300 (plus contract charges!) iPhone 3G. This portable little GPS/computer/internet device/music player has been a joy for travel. However, many of my old iPod accessories were not compatible with the iPhone 3G, so I had to find new ways to carry, charge, and listen to it. I’ve had mixed results this time around. 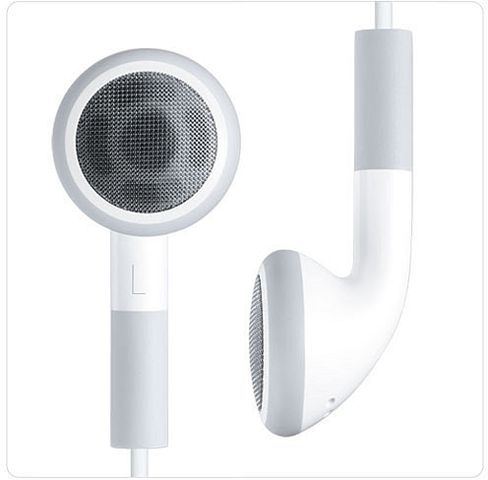 I finally liked Apple’s latest ear buds, which are comfortable for me for long periods and don’t block out ambient sounds when I’m hiking. If I want to listen to music and not hear ambient sound, I use my Sony MDR-EX51LP Fontopia ear buds that fit far more tightly for better sound. Using the iPhone’s GPS unit to track my hikes while listening to the iPod rapidly drains the battery. 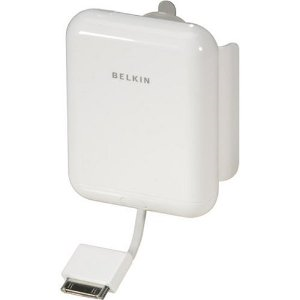 So I needed portable power, and the old Belkin Battery Pack wouldn’t do it. 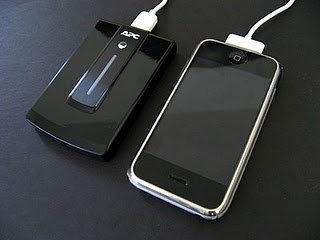 My first attempt was a $30 APC UPB10 Mobile Power Pack, but it didn’t work reliably with the iPhone. It may have been a bad USB-to-iPhone cable that was the culprit. My next choice was better but pricey: the DEXIM BluePack . My $90 S3 version has a wall charger with two USB plugs and various cables so you can recharge the iPhone or a variety of USB devices, or its own sleek battery, which includes a built-in flashlight. I can recharge my iPhone3G more than once with this little gadget and I always carry the charged battery pack with me on day hikes and take the whole thing with me on overnight trips. For awhile it wouldn’t recharge the iPhone, but I tracked that problem down to a bad USB-to-iPhone cable I’d carried over from another unit. 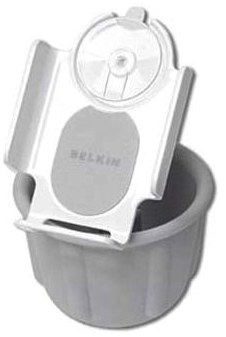 My old Belkin TuneDok Cupholder didn’t fit my iPhone, so eventually I bought a $16 DLO Ventmount . It has claws that latch onto the louvers of a dashboard vent and holds the iPhone in a convenient position for operation, tilts 90 degrees when needed, and even has a removable piece for use with a belt clip, although I never use that feature. As for recharging the iPhone in the car, I’ve used Griffin’s $20 PowerJolt for iPhone and that worked fine until my cassette adapter starting giving me trouble. A different adapter did not help – it appears the car’s cassette mechanism is worn out. 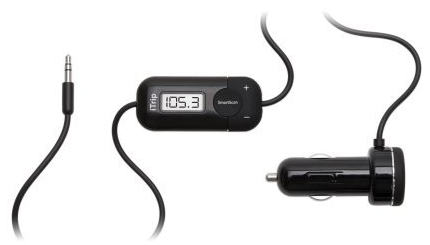 So I needed to use an FM transmitter – I still had the old Kensington K33185, but I wanted to be able to charge the iPhone and listen at the same time. And that has been a tale of woe. So my latest attempt to solve the problem is the $30 Griffin iTrip Universal Plus . It has a passthrough USB charging port and plugs into the iPhone’s audio jack. I like how this means it can work with various audio devices in the car, and so far it seems to be working okay.